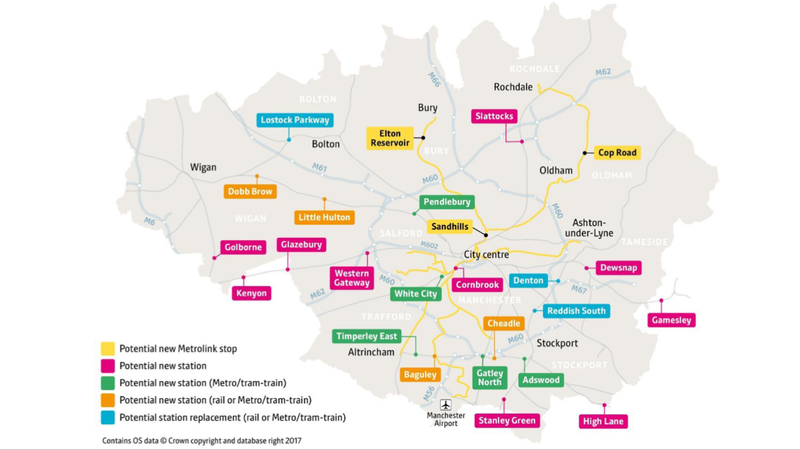 Transport for Greater Manchester has announced a number of proposed railway stations that are being considered as priorities for further investigation in their recently published Transport Strategy. Not all of the station will be delivered by 2040. The stations have been grouped into five cohorts.